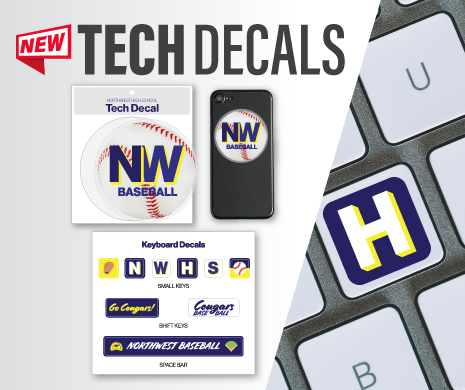 Tech Decals make it easy to decorate keyboards, laptops, monitors, tablets, and smart phones with removable stickers! Choose from several sticker sheet styles printed in full color on either white or clear overlaminated vinyl with removable adhesive. Tech Decals are easy to distribute and are a great product for schools, nonprofit organizations, and outdoor sports clubs or brands. DM us for more info or send your logo/idea and we can create a mockup!